Build the perfect digital studio, no matter what your budget! Creating high-quality digital recording does not require buying the most expensive audio equipment, but it does require buying the right equipment and knowing how to use it. 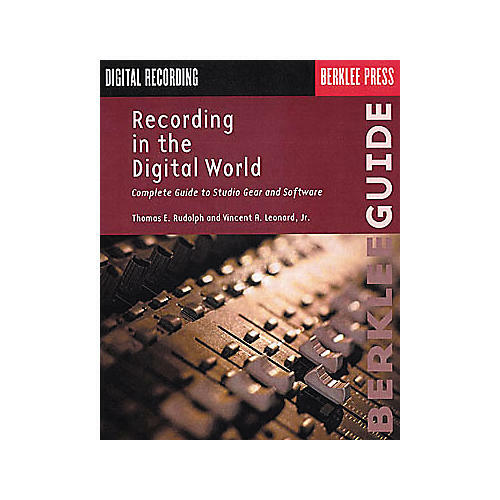 The book Recording in the Digital World by Thomas E. Rudolph and Vincent R. Leonard provides professional advice and recommendations on studio equipment, software and the latest technologies, plus practical tips for creating, editing, and mastering digital recordings. The music production tips are perfect for professional musicians, music educators and hobbyists who want to explore the world of digital recording. 8 inch. x 10 inch., 280 pages.